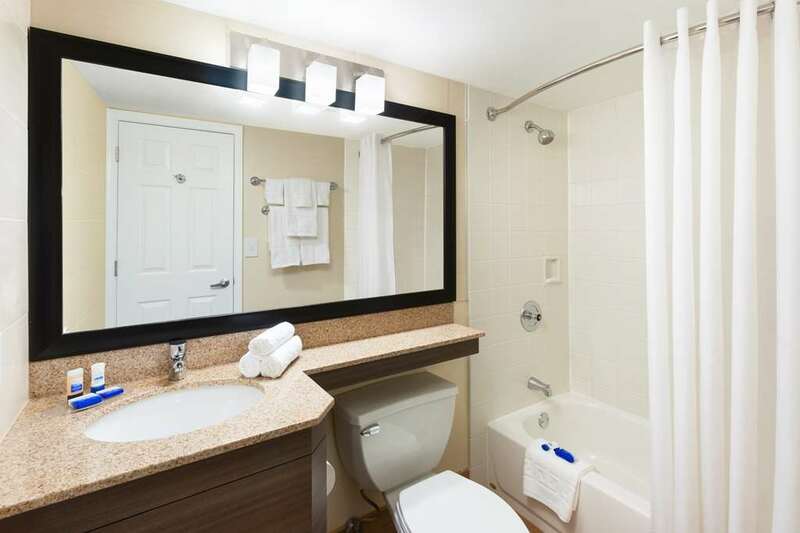 This luxurious Lakewood hotel has just completed a 1 million dollar renovation and features spa rooms with whirlpool tubs and luxurious linens. Combine those perks with cable/satellite television, a microwave, refrigerator, free wireless Internet and you've got the makings for a fantastic getaway. If you are interested in a Lakewood hotel, stay with the Best Western Leisure Inn as it was voted - Best Hotel in Ocean County. Your next adventure is right at your fingertips. We are located in Ocean County just off Exit 89B of the Garden State Parkway, at the juncture of Route 70, near Bay Head, Point Pleasant, Lakehurst, Manchester, Seaside Heights and Brick. Local corporations and attractions in our area include but are not limited to the Lakewood Industrial Park, Lakehurst NAES, Georgian Court University, Ocean County College, Historic Strand Theatre in Lakewood, Robert Miller Air Park and Oyster Creek/Exelon Power Plant. We are just five minutes from Lakewood BlueClaws Baseball at FirstEnergy Park. Convenient proximity to Nestle, Ritacco Center/Poland Springs Arena, Meredian Health, Morgan Stanley, Worthington Chemical, Dudley Chemical, Kimball Institute, Vogelsang Manufacturing. We are just 10 minutes from Seaside Beach and Boardwalk, 20 minutes from Point Pleasant Beach and Boardwalk, and about 60 minutes from Newark Liberty International and Atlantic City. Our outdoor seasonal pool is a sublime place to relax and soak up the rays. Don't forget to fill up at our complimentary breakfast before hitting the pool. Enjoy an impressive buffet of sizzling hot waffles, flaky delicious pastries, fresh fruits, a variety of cereal and yogurt, and our famous 100% Arabica coffee and cold juices. Whether you're here for Six Flags Great Adventure or simply passing through on business, this Lakewood hotel has you covered. Book a room at the Best Western Leisure Inn and get ready to be treated like the royalty you are! River Watch: 4.00 mile(s) from River Watch, Bar/Lounge, Seafood, Open for: dinner, great steaks and seafood a local favorite.